There's nothing like a good diversion of the world's attention to give Israel an excuse to kill Palestinians and destroy their infrastructure. The obvious false flag kidnapping of 3 Israeli teens has brought on searches in the West Bank by trigger happy Israeli soldiers in fear of their lives from pebble throwing kids. 4 Palestinians shot dead this week including a 13 year old. 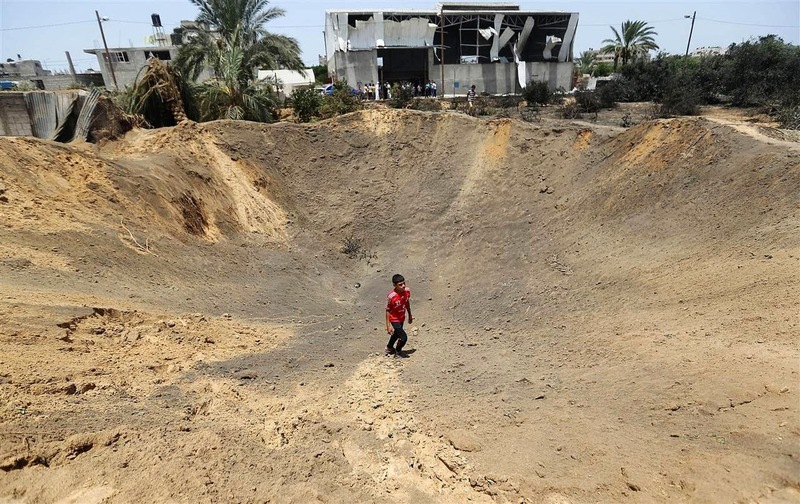 Alleged bottle rockets fired from Gaza into Israeli territory, no damage again, required airstrike retaliation. And even if Palestinians are peaceful, destroy their olive trees and orchards.... "planted illegally on state land." Where's ISIS when you need them? We keep hearing the rumble of 'soon ISIS will be 'creating chaos in the US and Britain' but nary a word on them wanting to do the same in Israel. "ISIS loves Israel!" That must be it. At the moment, it seems that Obama is hesitant to bomb ISIS, if they actually exist in any number. That would be friendly fire, right? Also bad for future recruitment of mercenaries who are always needed. Other promoters, Saudi Arabia, Kuwait and Quatar have a say it that too. Did you know that the CIA spends money on dolls, besides the human kind? 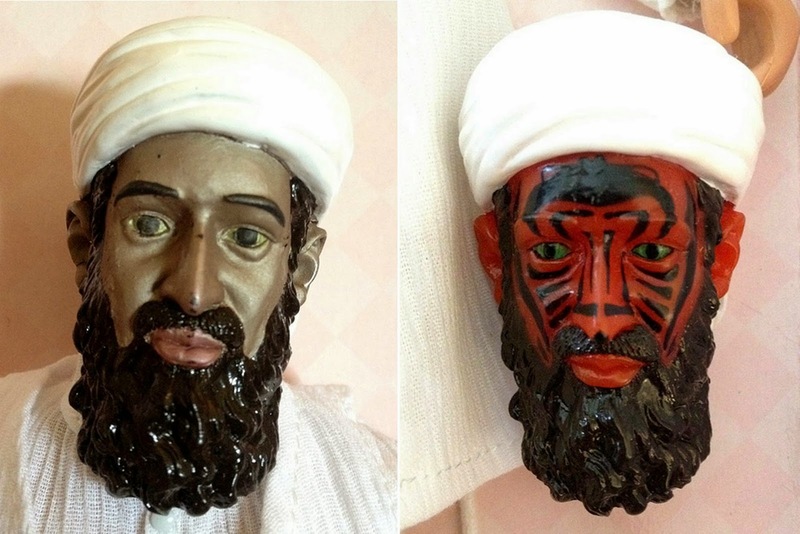 From the creators of GI Joe came prototypes of an 'evil' bin laden doll. Apparently they never went into full production but the Chinese are hoping the order for ISIS dolls comes in time for Christmas. Christian and Shiite dolls with removable heads may also be available as accessories. In my travels this week it has been both discouraging and disappointing to find that although there are many willing to talk about what's going on in Iraq and the Middle East, there are few who understand what is really happening. That's not to say I have it all correct but most regurgitate the mainstream slop as reality and it means the propaganda is working. A calm mention of false flags and hired deviant Wahhabi terrorists or wars for empire and Israel are met with odd looks. Americans are so slow to catch on and admit they have been deceived. Awareness is a first line defense. Unfortunately it is in short supply. "We keep hearing the rumble of 'soon ISIS will be 'creating chaos in the US and Britain' but nary a word on them wanting to do the same in Israel." hey aang, since I've almost run out of words to describe the world we live in and the events of the day, I'm sure glad you and so many others have the time to keep us informed of the deeper aspects. It may be the 'curse of interesting times' but I'm glad we are all here. I have run out of words. For the meantime. This is not a permanent state of affairs but an accurate description. The tales the trees could tell. Destroying the energy these living things give to us is a most egregious crime against humanity. Hasn't an Israeli dominated Kurdistan in the break-up of Iraq been one the goals all along? At the same time the criminal US government is running its own destructive Inter-State-IllegalS --ISIS in America. It is OBVIOUS the border patrol is intentionally destroying America. LAWRENCEVILLE, Va. (AP) — Contrite federal officials apologized to residents of a tiny southern Virginia town Thursday night for keeping them in the dark as they prepared to bring in hundreds of Central American children and teenagers to a temporary shelter. "Absolutely, we feel we didn't do it right here," said Mark A. Weber, a spokesman for the U.S. Department of Health and Human Services. "We're here to listen to the community. We're here to sort this out." He was speaking prior to the meeting. An overflow crowd packed the 900-seat Brunswick High School auditorium in the farming town of nearly 1,500. Many residents arrived at the school carrying small signs that read "No illegal immigrants," but they were told to leave them outside. Numerous law enforcement officers were on hand. Here is what is going on - They are taking children from the worst areas and the worst families, bringing them up to America, and then under the new act by Omama which says once a kid is here, the family can follow, the families are then allowed to come up to unite with their children, which were taken up here by America's own Federal Government to begin with. The Mexico report below is an important one, it is one which in all reality speaks about a war by the government against the American people. This is an attempt to get communism in place in America, re-enforced by a stupid vote that is only seeking a handout. This will destroy the nation, and no one will do anything because "violence is not good" and you cannot use your guns. But the ONLY ANSWER is extreme violence, where American gun owners go down to the border and into synagogues and take care of business. It is the only way, and it will not happen because the fluoride, antidepressants, and mind control in the media cannot be overcome, Americans are just going to sit as an enemy in the government dissolves their nation. We are watching the death of America unfold right before our eyes. Another important thing to note here is that these border patrol agents that are letting all of this happen are doing it because of military type orders, which force them to shut off their brains and betray their nation under threat of punishment. That is how tyranny functions, it causes people to ruin everything just because they fear they will be punished for not doing so. That in and of itself is another key indicator of just how far America has fallen, if the Border Patrol is going along with this because they have orders to do so, it SAYS IT ALL. To the people of Iraq. Don't worry the UN has your back. They won't stand for this stealing of oil fields, bypassing the legitimate government and working with the KRG. Feltman is looking out for special interests in Ukraine too. This didn't just happen. All part of the script. Thanks for the insight Aris. Feltman is nothing more than a handyman for his criminal zionist bosses. Some people will do anything for money. Iran Exposes ISIS! Top Commander Says It’s Supported by US, Israel and KSA! Hassan Firouzabadi, the chief of the general staff of Iran’s armed forces, told reporters on Wednesday that Iran will never cooperate with the U.S. in fight against the Islamic State of Iraq and the Levant (ISIL). ISIL terrorists have seized the north of Iraq in the past week, threatening to dismember Iraq and unleash all-out sectarian warfare with no regard for national borders. Major General Firouzabadi said ISIL was created by the U.S. and Israel to increase the security of the Zionist regime in the region. He added that the ISIL attacks in Iraq are in fact a reaction to the victory of Bashar al-Assad in the Syrian presidential election. Nobody seems to comprehend how few, freethinkers there are. Try thinking of converts as nails not pounded down in a world of hammers. Finally, summer in the near North, a first rose and a strawberry. Like any derelict, hope they go broke. The Israel-related issues and a lot of the issues is in place, we can find the largest and dreams for this land which is peace and peace. News within the last hour according to Google, the company that resurrected Bletchley Park, says that special forces haven't been able to assess the situation in Iraq due to legal problems and that ISIS is mocking Michelle via Twitter. It's "322" theater for the psychopathic crowd. I'm going to repeat a comment from the previous post because it confirms what many of us have been saying for years. They want to partition the country consistent with an Israeli plan that was concocted more than three decades ago. The plan was the brainstorm of Oded Yinon who saw Iraq as a serious threat to Israel’s hegemonic aspirations, so he cooked up a plan to remedy the problem. The only reason to dissolve Iraq, is Israel. Israel does not want a unified Iraq. Israel does not want an Iraq that can stand on its own two feet. Israel wants to make sure that Iraq never remerges as a regional power. And there’s only one way to achieve that goal, that is, to follow Yinon’s prescription of “breaking up Iraq …along ethnic/religious lines …so, three (or more) states will exist around the three major cities: Basra, Baghdad and Mosul." Have you seen the cover of Time Magazine 30 June 2014. 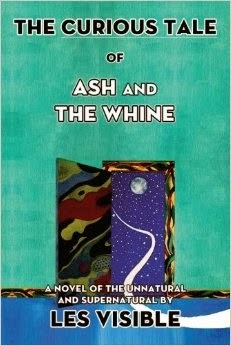 I don't actually recommend reading it. I didn't, but just more predictive programming. From Palestine to Syria, Nigeria to Iraq and to Ukraine, a veritable armada of false flags are at full mast. The Western mainstream media, of course, “report” each case separately and at superficial face value, according to the desired pretext and purpose of their governments.